Death Benefits - What to dowhen a Social Security beneficiary dies. VeteransAffairs - Main website for the VeteransAdministration. Full of information tohelp answer your questionsrelating to VA benefits for you or your spouse. 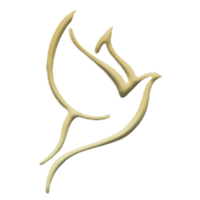 Homesteaders Life Company -Homesteaders is one of the nation's premier insurance-funded trustprovider for pre-paid, pre-arranged funerals. FuneralPlan.com -Funeralplan.com is a free consumer information and educationresource for funeral planning, financing options, funeral productsand services, and grief support. Funerals: A Consumer's Guide -Information every consumer should know when planning afuneral. AARP - AARP is a nonprofit,nonpartisan organization dedicated to helping older Americansachieve lives of independence, dignity and purpose. American Cancer Society - The AmericanCancer Society is the nationwide community- based voluntary healthorganization dedicated to eliminating cancer as a major healthproblem by preventing cancer, saving lives, and diminishingsuffering from cancer, through research, education, advocacy, andservice. NFDA - The National FuneralDirectors Association (NFDA), founded in 1882, is the largestfuneral service organization in the world. The mission of NFDA isto enhance the funeral service profession and promote qualityservice to the consumer.